Ukrainian Youth Aerospace Association (UMACO) “Suzirya” is already 27 years old and it’s half a year older than the State Space Agency of Ukraine. The subject of youth aerospace education is even older. Cosmonautics is the essence of the world experience in science and technology. Space research is a concentrate of diverse sciences, advanced ideas and technological achievements. Involving young people in work in such an environment contributes to a quick realization of their own talents, abilities, strengths, and helps determine the future profession. Our task is to find and support talented children and youngsters, to aim their creative energy and abilities in the right direction. These are obvious things that were understood 30 years ago, and today, for some reason, their importance is diminished. Across the world, everyone’s aware of the importance of working with young people. The pioneers in this case were Americans, who created the Council of Young Astronauts in 1984. It was a national educational program approved at the highest governmental level. Through the learning of space-related stuff, government tried to raise students’ interest in studying mathematics, science and technology. Over the course of several years, this program established 26,000 branches throughout America and in 42 countries around the world. So when somebody is trying to tell me today about the novelty of STEM education, I’m just smiling. These innovations have been around for over 30 years. In December 1986, delegation of the Council of Young Astronauts of the USA headed by Wendell Battler visited the USSR invited by the Committee of Youth organisations of USSR. On November 1-2 in 1988, near Moscow, there was a conference, where the new structure formed: United Aerospace Organisation (VAKO) “Soyuz”. It was the first organisation in USSR, which systematically engaged in the identification and support of young talents in the aerospace industry, shaping the future intellectual elite of the country. The founders of this organization were: Glavkosmos, the State Committee of the USSR for Education, the Academy of Sciences of the USSR, the USSR Astronautics Federation, the USSR Youth Organizations Committee, the USSR Committee on Science and Technology, the Coordination Council for Youth and other scientific and technical organisations. Thanks to the media publications, the idea became widely spread. 380 delegates from all the republics of USSR (including Ukraine) attended the conference. 152 organizations (clubs, sections, school museums of astronautics, etc.) declared their desire to join the new movement, bringing together almost 12 thousand members, as well as more than 4 thousand enthusiasts. Oleksandr Serebrov, who flew 4 times to space, was elected President of the VAKO “Soyuz”. Oleksandr headed the organization until his last days – for more than 20 years. The Soviet Union became a member of the International Organization of Young Astronauts, along with national associations of the United States, the UK, Japan, South Korea, Australia, Canada and other countries. VAKO “Soyuz” included hundreds of branches throughout the country. 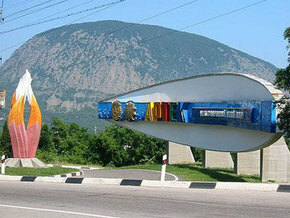 A separate branch was created and operated in Dnipro city, the center of Ukrainian cosmonautics. 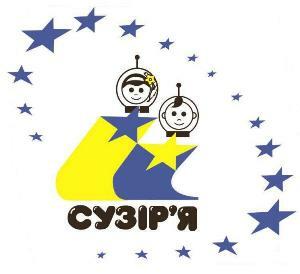 After the collapse of the USSR in 1991, the Dnipro branch of the VAKO “Soyuz” was transformed into the Ukrainian Youth Aerospace Association (UMAC) “Suzirya”. Over time, the organization’s headquarters moved to Kyiv. In each region we have our representatives: regional offices or out-of-school establishments. Mostly, these are regional centers of engineering and creativity for students and “young technician” stations. In 1996, the National Center for Aerospace Education of Youth named after O. M. Makarov, was established in Dnipro. There is also an affiliate office in Kyiv. The main purpose of our work is popularization of cosmos, research of achievements of domestic and world cosmonautics, increase of interest in the subject of space and science in general among schoolchildren and youth. Recently, due to a number of economic and political circumstances, we notice a sharp decline in interest in science among young people. Our mission is to combine the enthusiasm and energy of young people and the experience and knowledge of the older generation. We cooperate closely with the Council of Cosmodrome Veterans located in Kyiv, with museums, in particular, with the Zhytomyr Museum of Cosmonautics named after S.P. 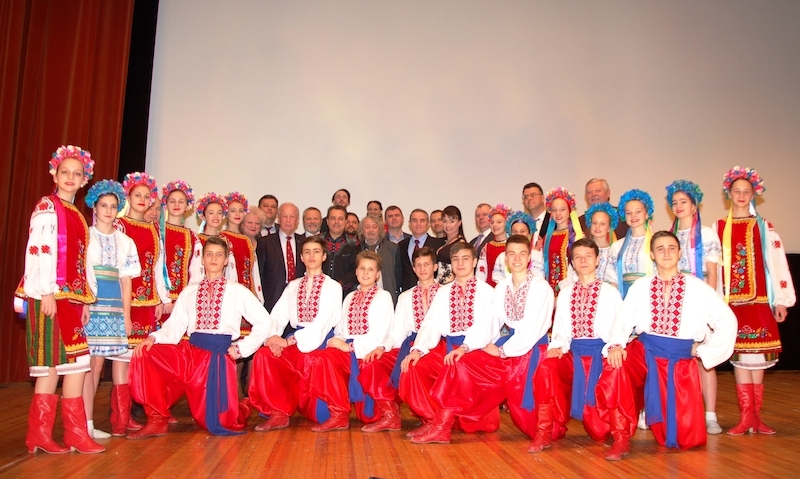 Korolev, with the department of astronautics and aviation at the Kyiv Polytechnic Institute (KPI) and others. We cooperate with almost all Ukrainian enterprises of the space industry, educational institutions, which train specialists in technical specialties, who then work in enterprises, manufactures and in scientific institutes. Program “Children of the Universe” was working actively funded by the state. The Program is still operating today, but since 2013 the funding was reduced. “Children of the Universe” program conducts educational events to promote space exploration. In fact, conditions are created to train people, that could later work in the space industry. Life shows that specialists who have gone through our extra-curricular space studies, actually have a very large potential in terms of applying their knowledge and abilities in other areas. Especially today, when cosmonautics is very closely interconnected with information technologies, ecology and medicine. The main forms of aerospace education at UMACO “Suzirya” are contests “Space fantasies”. That’s a humanitarian competition for junior pupils from all over Ukraine, where they make first attempts to convey their vision of space and the Universe by means of arts, crafts, music, poetry and literature. Award winning picture of “Space Fantasies” contest, 2013. We also conduct a “Peaceful Space” contest. It is a scientific competition, a predecessor of modern startups and hackathons. Airplane and rocket modeling clubs are also very important. They continue to exist in some schools and out-of-school establishments. Previously, these activities were financed by the state and industrial space enterprises. Today, these clubs are getting closed, coaches and leaders are retiring, and young people are looking for other fields to apply their technical skills. UMAKO “Suzirya” T-shirts and caps are still weared during rocket modelling competitions. 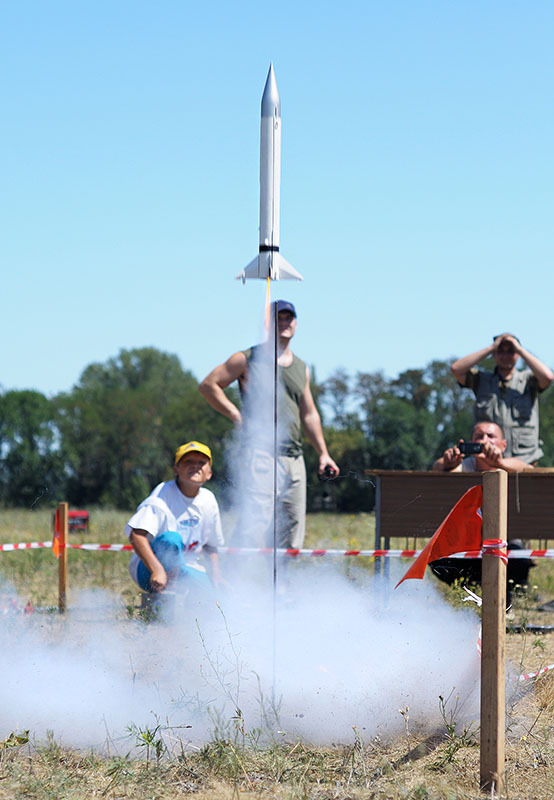 Until 2013, we financed the M.K.Yangel Cup, which is a qualifying stage for the World Rocket-Modeling Cup. We also conducted the contest called M.I. Kibalchich Cup, which took place in Chernigiv region, the home of an outstanding inventor. These contests are just one segment, because in general the Program is a whole range of activities built into a system of continuous aerospace education. We started working with the youth early at school and guided youngsters to the employment in space industry. 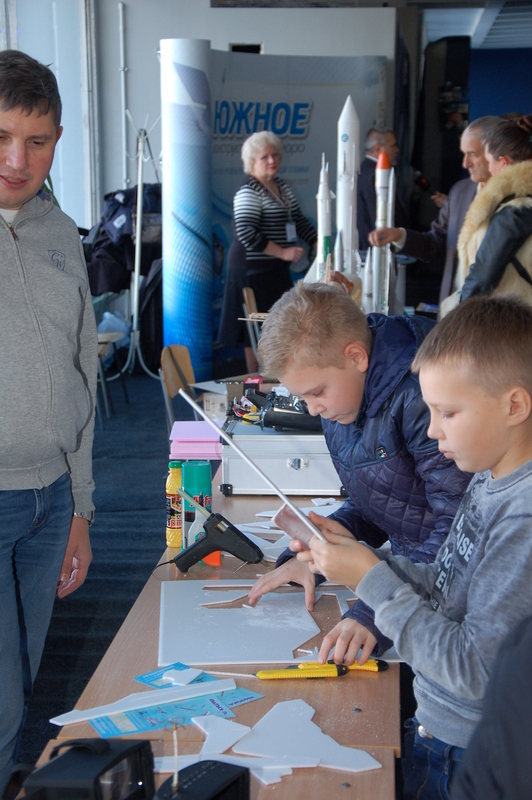 Rocket-modelling contest, Chernigiv region. Picture: Oleg Gordienko, 2008. In 2013, when the state lost interest in the subject of aerospace education, the belt was picked up by business. Today, for example, the Federation of Rocket-Modeling Sports of Ukraine is funded by the private company Noosphere. This is very good, but it’s a private company and it primarily pursues its own private goals. Noosphere realized very well, that in order to succeed in the technological areas of business, professional skilled personnel needs to be prepared. Unfortunately, today the education system does not allow to train specialists of the proper level, and therefore there always were out-of-school activities, where children, through their own practical experience in extracurricular mode, mastered aerodynamics, rocket building, modeling, etc. They graduated from these clubs with a good skill-set and, as a rule, decided to continue their education and career in aerospace field, studying at Kyiv Polytechnic Institute, Kharkiv Aviation Institute or somewhere in Dnipro city. 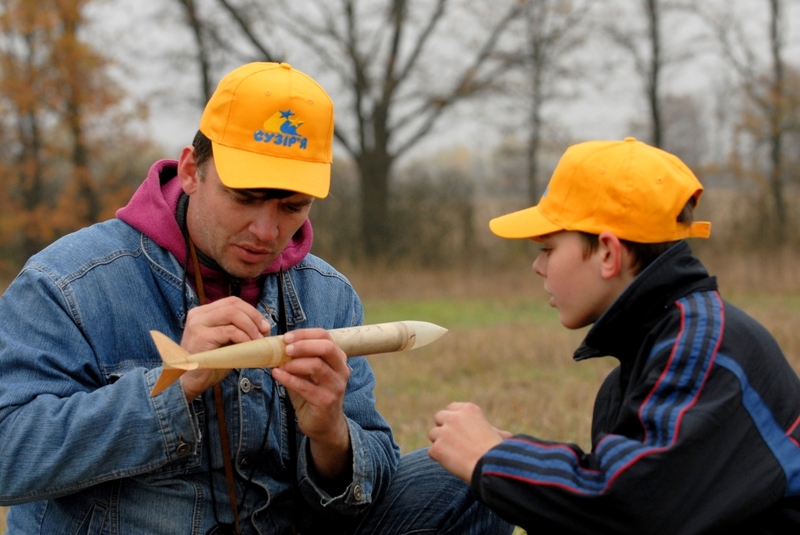 Rocket modelling contest, Yangel cup, Dnipro 2012. It is very good that private companies support aerospace education, but the bad thing is that there’s not enough of them. Still, there must be a structure that will have a state-oriented goal that goes beyond profits and fast money. We must think strategically and see where Ukraine and the space industry of Ukraine will be in 5-10 years. And for this purpose it is necessary to have a clearly structured strategy. For this strategy to go real, a thorough analytical work should be conducted. We need to constantly monitor one of the most dynamic markets in the world: the space services. We are already chased by such countries as New Zealand and Australia, who didn’t even think about space exploration few years ago. Today, Indian students are building a cubesat satellite, that they plan to launch in space. 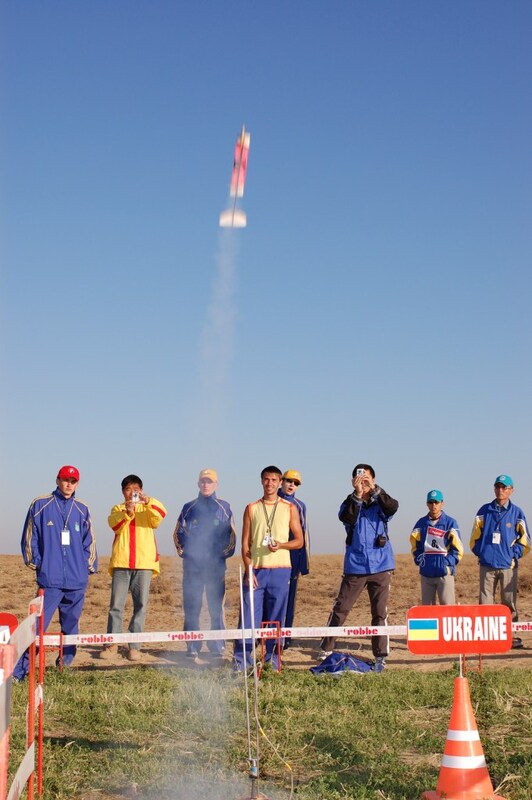 UMAKO “Suzirya” team at the World rocket-modelling championship, Baikonur, 2006. Since 1993, we have an Extramural Aerospace School where children study the basics of astronautics, astronomy and physics. Teachers of the EAS are experienced scientists and astronomers from leading observatories and universities of Ukraine. We conducted multiple journeys to observe astronomical phenomena worldwide. The basic concept of all our projects and activities is the availability of knowledge. Our goal is to create conditions where it’s possible to access deeper than the school curriculum knowledge of astronomy, mathematics, physics, chemistry, biology, etc. Meeting with Baikonur space veterans, ‘Zoryany camp”, Kyiv. We now have a project to create such a portal where children can register and receive high-quality knowledge, consult with specialists from astronomical observatories, etc. However, our resources are limited. We need not only financing, but first of all, people eager to volunteer. To reach this goal we presented the project called “KOZAK” – Space team named after L.Kadeniuk. This project is aimed at creating a volunteer movement. All those who are willing to join the implementation of any projects related to the promotion of space and science in Ukraine – please contact us, we will be glad to work together! We have many opportunities to grow creative, scientific, organizational and leadership skills. A smart person does not always think about money. Volunteering means communication, new acquaintances, an opportunity to try yourself in a new role, the opportunity to reveal yourself as a specialist. Today volunteering is very important. Students are those people, whom we expect to become volunteers first place. We welcome everyone to our friendly family and we’re eager to help us much as we can. For the most gifted, we can even talk about the possibility of organizing internships in Ukraine or abroad. Thanks to the volunteering students, we have a better communication with school children, because there is not such a big age-gap between them. Unfortunately, today we are experiencing a lot of turbulence. Since 2013, we’ve been rebuilding our approaches to work, as we have lost the “gems” of our program in Crimea – “Artek” camp and “Laspi” Camp, where we had annual gatherings dedicated to aerospace subjects. Winners of our competitions received a ticket to “Artek”, to “Kryshtalevy” camp, which was built from scratch. Because of ignorance, many people believe that “Artek” camp was transferred to Bukovel. But this is not true. I think that “Artek-Bukovel” is the illegal use of Artek brand. “Artek-Bukovel” is a privately funded camp, which as far as I know is financed by one of our disgraced oligarchs. This is a smart and and aggressive tactic of using a state brand. “Artek” as a brand is a camp that belongs to the jurisdiction of the State Department of Affairs. Today “Artek” camp with a certain part of the team moved from Crimea to Kyiv and is located in Puscha-Ozerny. 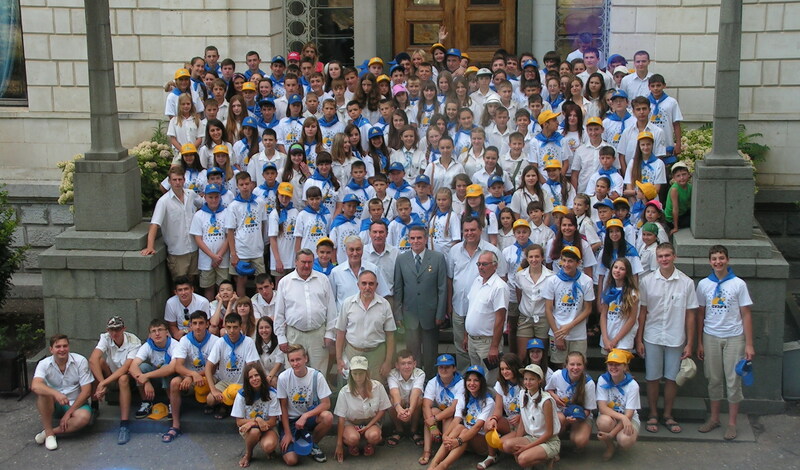 The current director general of the “Artek” camp Sergii Kapustin was deputy director in Yalta. We communicate very well with him, because we used to conduct aerospace gatherings and international aerospace festivals in “Artek” camp every year. Children went to the camp not only to have rest. Kids communicated, shared knowledge, experience and had fun. 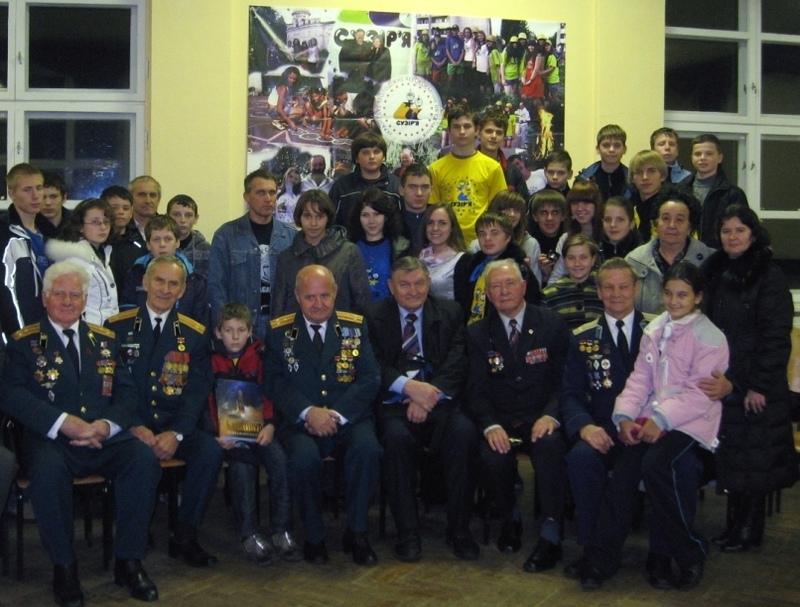 There were meetings with interesting people – cosmodrome veterans, astronauts, with Leonid Kadenyuk, in particular, who always happily talked with young people. He talked about his life and a long thorny way to accomplish his dream of seeing Earth through the porthole of the spacecraft. “Suzirya” team visits National center for control and testing of space vehicles. Eupatoria city, August 2009. It turned out that the public attention to “Suzirya” wasn’t always a good thing. The last two Presidents were simply destroying us. Apart from the camps in Yalta and Laspi, where aerospace camps took place, we also had a camp called “Zoryany” in Pushcha-Vodytsia, where events took place all the year round. This camp was rebuilt at our own expense and the expense of children and their parents. However, Pushcha-Voditsa land is such a delicious piece! Starting from the wife of Viktor Andriyovich and ending with the wife of Viktor Fedorovich, we were deliberately deprived of these lands. 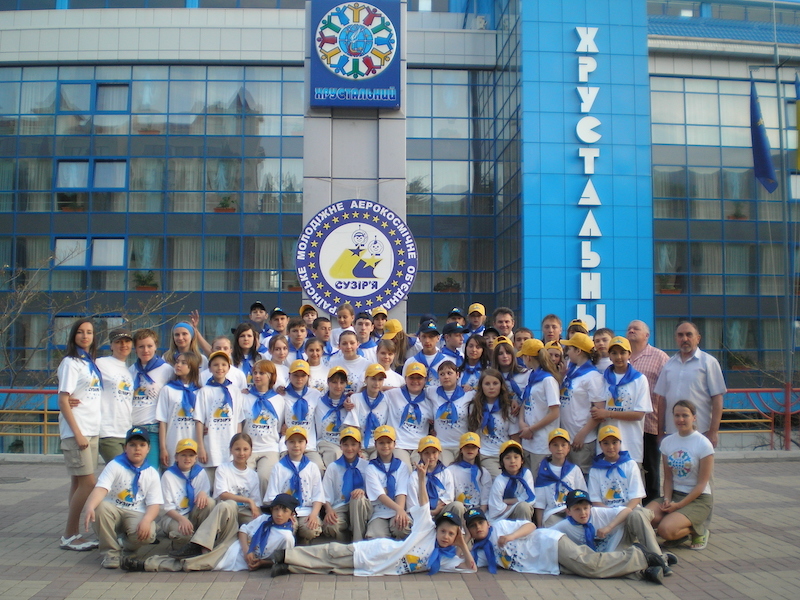 Space camp, “Laspi”, Savastopol city, 2007. Leonid Kadeniuk meets children in kids camp “Laspi” in Sevastopol, 2007. 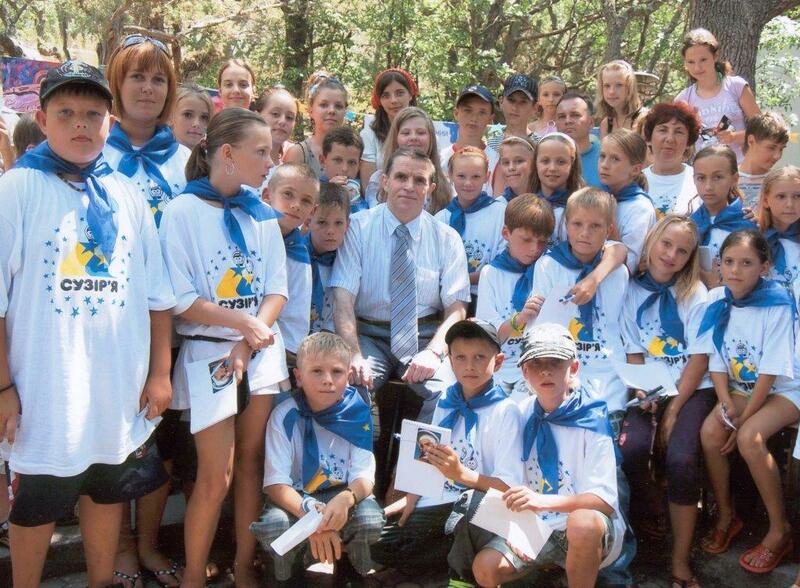 Leonid Kadeniuk meets children after autograph session, “Laspi” camp, Sevastopol, 2007. 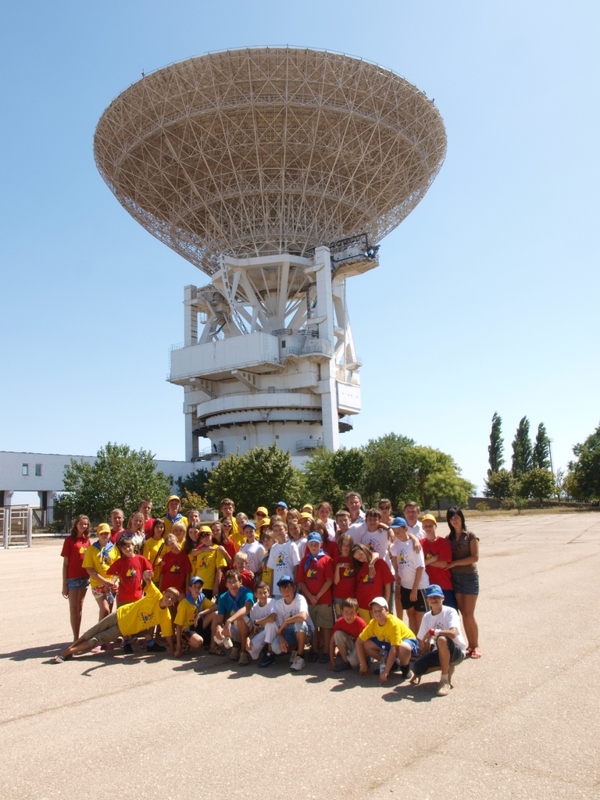 “Laspi” space camp, Sevastopol, 2013 р. “Suzirya” space camp in Vyshenky village, Chernigiv region, 2005. In the end, the equipment was stolen and everything built at the expense of “Suzirya” was ruined. However, we don’t lose our faith and try to create a new model of our work. If we don’t continue to work, the statistics will continue to be sad. In a course of last 4 years, half of the young population simply left Ukraine. Our youth is highly appreciated worldwide. Did you know that our people work in NASA? And now one of the Ukrainians is preparing to fly to Mars. By the way, as a schoolboy, he visited “Artek” camp. He currently studies, lives and works in America. We work with schools through the system of contests “Peaceful Space” and “Space fantasies”. I believe Leonardo da Vinci once said that it’s necessary to learn how to see art in science and science in art. Our system of contests inspires space exploration through the art. Children draw, create applied arts. All the artwork shares the common subject: space. In such a way children share their perception of the surrounding world and the cosmos that they can imagine. We have fine arts and applied arts, computer graphics, and photography, literature, journalism, even music. The jury of this competition are experts of the highest quality: national artists of Ukraine Anatoliy Haydamak and Anatoly Matviychuk. Leonid Kadenyuk was also our regular member of the jury. “Space fantasies” contest lasts all the year round. It starts locally at schools, then the selection is done at the level of the district and the region. And then we organize the final round. We develop contest rules, send them to regional centers, and they distribute announcements to centers of young technicians, city and rural schools, and to everyone interested. We have a Facebook page, where we post the latest astronautics news and also the news about our activities. But, of course, there is a need for direct human communication. Therefore, we are very much in favor of the regional centers. In a course of the last 20 years, we established good liaisons with older people. And now a lot of young people, who join us, don’t understand how to tie drawings and applied arts to technical creativity. Information flow stops at their level, while we expect that it should extend to the last student of the most remote corner of Ukraine. At the final round of the “Space Fantasies” contest held in May last year, a boy from the Gulyaypil district of Zaporizhzhya region, who is literally on the border with the occupied regions, came to us. 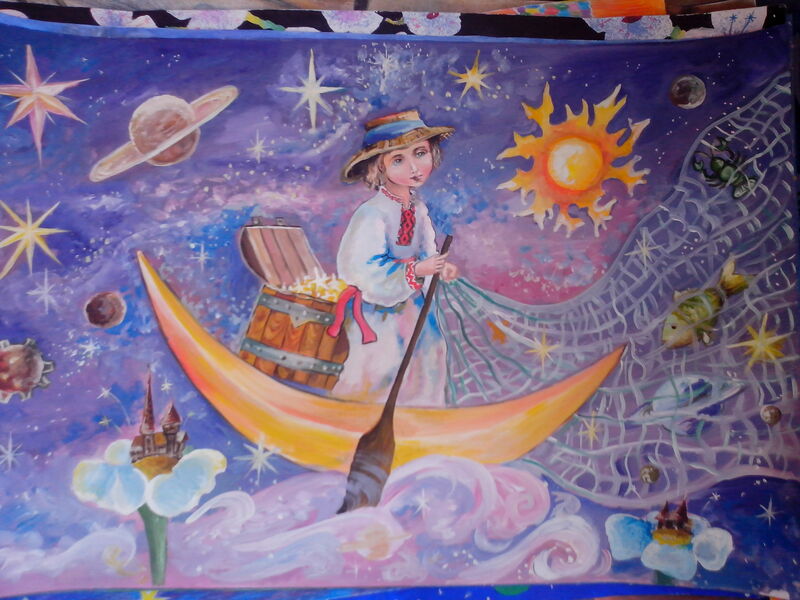 “Space fantasies” contest award winning art-work, 2010. He was born in a large family and he did not even have the money for traveling. But the boy spent a lot of time making his product. He came with a teacher, they saw in what format it was happening, met Leonid Kadeniuk and other members of the jury, received prizes, took pictures. We made them a tour to the observatory and around Kyiv. In other circumstances, these children would not be able to see what they saw in these three days. And then the guy was asked whom he wanted to be. Of course, he dreamed of becoming a dentist. Why? Because it is necessary to earn money, support family, where mother is sick, and there are many children. He is only 14 years old, and already caring for some of the tasks on the farm. From school he goes directly to home every day, without any delays. He has little entertainment. And he manages to find time to take part in our space competition. Of course, we acknowledged his work, since it was very good. Then we took some pictures and sent Leonid Kadenyuk’s book to this boy’s school. On the 1-st of September the school had an opening day. And they thanked the boy in public, gave him these presents. I doubt quite a lot, if his dream of becoming a dentist didn’t change. Perhaps, we would want him to become if not a cosmonaut, then an engineer. Children who attend our club, very quickly master, for example, the manufacture of gliders. Then they start making more sophisticated gliders. Then it’s important to teach kids jet propulsion, simple rocket launches etc. Children need to be guided from one step to the next, and there should be a system. A child can not go to dancing classes at school and consider himself a dancer for a lifetime. However, dancing stays in the heart forever. 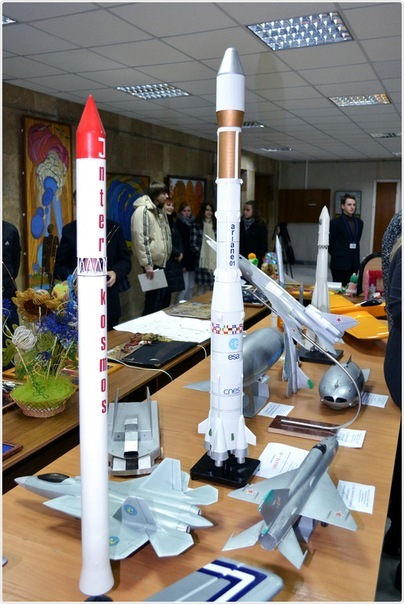 There is a rocket modelling club in Kyiv Polytechnic Institute, run by a guy from Chernigiv region. He himself trained in such a club, and saw how it worked from within. This boy developed leadership skills and manages the club, searches for space, sponsorship opportunities, selects competitions to participate in. All of it he combines with the studying on the 1-st course of the Institute. During the “Peaceful Space” contest pupils must present their scientific works. It lets them to acquire not only professional scientific knowledge, but also to test leadership skills. We’ll see how things will unveil in future. I’m sure, we’ll continue to develop, though it’s a very hard task under the conditions of little financing. Sponsors also started to pay attention, that the conditions worsened in Ukraine both for business and NGOs. That’s why some people think they can save on sponsorship. And we believe that working with youth means working with people in the future. Today, we have to lay the foundation for training people, who will solve technological, economic and political issues in 5-10 years. Therefore, it is important not to miss the interest of children in space exploration. If kids don’t go to us, they will go to the streets, for sure. In 2016, for the first time, we held Space Forum called “Space Ukraine”, supported by the Ministry of Youth and Sports of Ukraine and sponsors as well. It took place in autumn of 2017 and was dedicated, at the same time, to our 25-th anniversary. This event was attended by more than a hundred participants from all regions, even from remote villages. Future rocket engineers. Children, who attended “Space Ukraine” forum, 2016. We arranged meetings with representatives of the space industry. Speakers included today’s chairman of the State Commission for Civil Aviation Pavlo Degtyarenko, representatives of the aviation and space industry, representatives of the National Center for Space Testings, who brought equipment and showed how in real time monitoring and processing of satellite data is carried out. Children were greatly interested. We conducted master classes on the manufacture of gliders from prototypes, showed the flights of UAVs and quadcopters. There were also great lectures presented by representatives of space industry and universities (KPI, NAU, T.Shevchenko University). Employees of the Main Astronomical Observatory of the National Academy of Sciences of Ukraine presented their speech, Students who manage satellite project in KPI presented as well. I am very glad that we were able to organize and hold this event for the first time so well. Children came from all over Ukraine, got acquainted, listened to lectures about space, asked questions to the real cosmonaut, found out, in which Universities they could continue studying, what they will learn, and what they will do after graduation. Our main task today is to keep up with the rhythm. Space industry is very vibrant now. It’s important, that our specialists realize themselves in the global aerospace industry. I’m not saying in “Ukrainian aerospace industry”. Under the conditions of globalization we no longer have such clear boundaries. In Kyiv, for example, there is Boeing representative office, that works closely with Kyiv Polytechnic Institute and other companies. In May, the ActinSpace hackathon took place hosted by the National Aviation University (NAU). That’s a sign, that our specialists and our technologies are valued. Enterprise companies are interested in our young people, who have very good training.